Thanks to them for making such a useful resource! Free 2014 Pumpkin Calendar Set. Ashland: Thursday, Oct. 30 from 6-7 p.m.
Aurora: Saturday, Nov. 1 from 6-8 p.m.
Avon: Thursday, Oct. 30 from 6-7:30 p.m.
Avon Lake: Thursday, Oct. 30 from 6-7:30 p.m.
Bath Township: Sunday, Oct. 26 from 5-7 p.m.
Bay Village: Friday, Oct. 31 from 6-8 p.m.
Bedford: Friday, Oct. 31 from 6-8 p.m.
Berea: Saturday, Nov. 1 from 6-8 p.m.
Boston Heights: Friday, Oct. 31 from 6-8 p.m. Bowling Green: Friday, Oct. 31 from 6:30-8 p.m.
Brecksville: Friday, Oct. 31 from 6-8 p.m.
Broadview Heights: Friday, Oct. 31 from 6-8 p.m.
Brook Park: Friday, Oct. 31 from 6-8 p.m.
Brooklyn: Friday, Oct. 31 from 6-8 p.m.
Brunswick: Friday, Oct. 31 from 6-8 p.m.
Burton Village: Thursday, Oct. 30 from 5-7 p.m.
Bucyrus: Thursday, Oct. 30 from 5-7 p.m.
Canal Fulton: Friday, Oct. 31 from 6-8 p.m.
Canton: Sunday, Oct. 26 from 3-5 p.m.
Carrollton: Saturday, Nov. 1 from 2-4 p.m. Chagrin Falls: Friday, Oct. 31 from 6-8 p.m.
Chardon: Friday, Oct. 31 from 5:30-7:30 p.m. followed by Halloween parade around the Square. Chippewa Lake: Friday, Oct. 31 from 6-7:30 p.m.
Cleveland: Friday, Oct. 31 from 6-8 p.m.
Copley: Sunday, Oct. 26 from 5-7 p.m.
Cuyahoga Falls: Saturday, Oct. 25 from 6-8 p.m.
Cuyahoga Heights: Friday, Oct. 31 from 6-7:30 p.m.
Dover: Tuesday, Oct. 28 from 6-8 p.m.
Doylestown: Thursday, Oct. 30 from 5:30-7 p.m.
Eastlake: Friday, Oct. 31 from 6-8 p.m.
Elyria: Thursday, Oct. 30 from 6-7:30 p.m.
Euclid: Friday, Oct. 31 from 6-8 p.m.
Fairlawn: Sunday, Oct. 26 from 5-7 p.m.
Fairview Park: Friday, Oct. 31 from 6-8 p.m.
Findlay: Thursday, Oct. 30 from 6:30-8 p.m.
Garfield Heights: Friday, Oct. 31 from 6-8 p.m.
Garrettsville: Thursday, Oct. 30 from 6-8 p.m.
Grafton: Friday, Oct. 31 from 6-7:30 p.m.
Green: Saturday, Oct. 25 from 6-8 p.m.
Hartville: Sunday, Oct. 26 from 3-5 p.m.
Highland Heights: Friday, Oct. 31 from 6-8 p.m.
Hiram: Thursday, Oct. 30 from 5-7 p.m.
Huron: Friday, Oct. 31 from 5-7 p.m. Independence: Friday, Oct. 31 from 6-8 p.m.
Jackson Township: Sunday, Oct. 26 from 3-5 p.m.
Kent: Sunday, Oct. 26 from 3-5 p.m.
Lakemore: Saturday, Oct. 25 from 5-7 p.m.
Lakewood: Friday, Oct. 31 from 6-8 p.m.
Lafayette Township: Friday, Oct. 31 from 6-8 p.m.
Lorain: Thursday, Oct. 30 from 6-7:30 p.m.
Lordstown: Thursday, Oct. 30 from 5-7 p.m.
Louisville: Sunday, Oct. 26 from 3-5 p.m.
Macedonia: Friday, Oct. 31 from 6-8 p.m.
Madison Township: Friday, Oct. 31 from 6-8 p.m. 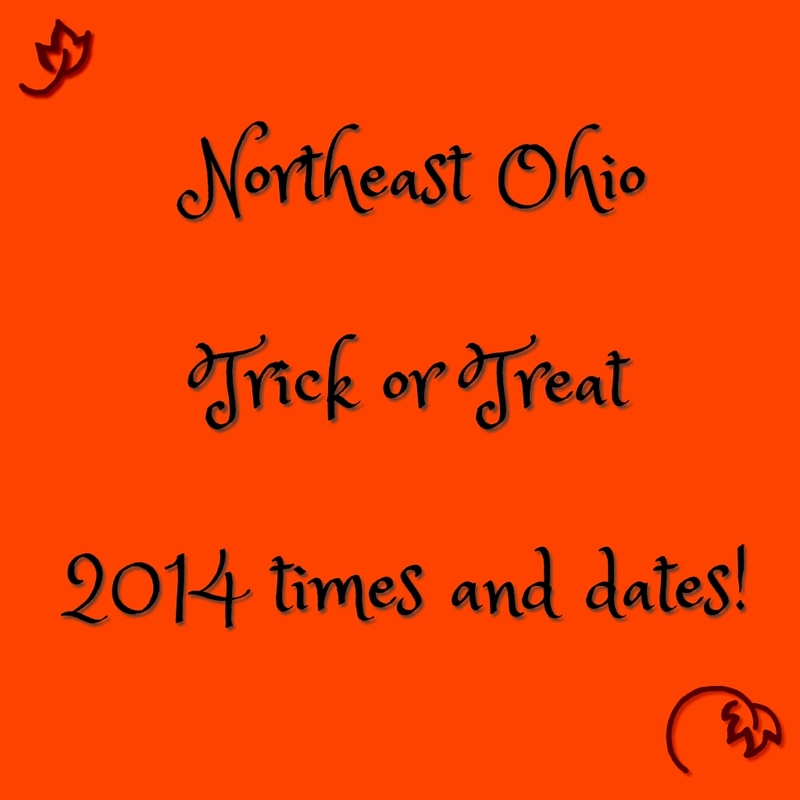 Maple Heights: Friday, Oct. 31 from 6-8 p.m.
Mansfield: Thursday, Oct. 30 from 5:30-7 p.m.
Massillon: Sunday, Oct. 26 from 3-5 p.m.
Mantua: Thursday, Oct. 30 from 5:30-7:30 p.m.
Mayfield Heights: Friday, Oct. 31 from 6-8 p.m.
Marion: Friday, Oct. 31 from 5:30-6:30 p.m.
Mentor: Friday, Oct. 31 from 6-8 p.m.
Middleburg Heights: Friday, Oct. 31 from 6-8 p.m.
Middlefield: Saturday, Nov. 1 from 5:30-7 p.m.
Mogadore: Sunday, Oct. 26 from 5:30-7 p.m.
Munroe Falls: Friday, Oct. 31 from 6-8 p.m.
Navarre: Thursday, Oct. 30 from 6-7 p.m.
Newbury: Thursday, Oct. 30 from 6-8 p.m.
North Canton: Sunday, Oct. 26 between 3-5 p.m.
North Ridgeville: Thursday, Oct. 30 from 6-7:30 p.m.
North Royalton: Friday, Oct. 31 from 6-8 p.m.
Northfield: Friday, Oct. 31 from 6-8 p.m.
North Olmsted: Friday, Oct. 31 from 6-8 p.m.
Norwalk: Thursday, Oct. 30 from 6:30-8 p.m.
Oberlin: Thursday, Oct. 30 from 6-7:30 p.m.
Olmsted Falls: Saturday, Nov. 1 from 6-8 p.m.
Olmsted Township: Saturday, Nov. 1 from 6-8 p.m.
Painesville (city): Saturday, Nov. 1 from 6-8 p.m.
Painesville Township (Lake County): Friday, Oct. 31 from 6-8 p.m.
Parma: Friday, Oct. 31 from 6-8 p.m.
Perry Township (Lake County): Saturday, Nov. 1 from 6-8 p.m. Port Clinton: Thursday, Oct. 30 from 6-8 p.m.
Ravenna: Saturday, Oct. 25 from 3-5 p.m.
Richmond Heights: Friday, Oct. 31 from 6-8 p.m.
Rittman: Saturday, Nov. 1 from 6-8 p.m.
Rochester Village: Friday, Oct. 31 from 6-7:30 p.m.
Rocky River: Friday, Oct. 31 from 6-8 p.m.
Sandusky: Friday, Oct. 31 from 5-7:30 p.m. Seven Hills: Friday, Oct. 31 from 6-8 p.m.
Seville Village: Friday, Oct. 31 from 6-8 p.m.
Shaker Heights: Friday, Oct. 31 from 6-7:30 p.m.
Sheffield Lake: Thursday, Oct. 30 from 6-7:30 p.m.
Sheffield Village: Thursday< Oct. 30 from 6-7:30 p.m.
Solon: Friday, Oct. 31 from 6-8 p.m.
South Euclid: Friday, Oct. 31 from 6-8 p.m.
Springfield Township: Friday, Oct. 31 from 6-8 p.m.
Stow: Saturday, Nov. 1 from 5:30-7:30 p.m.
Streetsboro: Saturday, Nov. 1 from 6-8 p.m.
Strongsville: Friday, Oct. 31 from 6-8 p.m.
Tallmadge: Thursday, Oct. 30 from 5:30-7 p.m.
Twinsburg: Friday, Oct. 31 from 6-8 p.m.
Valley View: Friday, Oct. 31 from 6-8 p.m.
Vermilion: Thursday, Oct. 30 from 6-7:30 p.m.
Wadsworth: Thursday, Oct. 30 from 6-8 p.m.
Warren: Thursday, Oct. 30 from 5-7 p.m.
Warrensville Heights: Friday, Oct. 31 from 6-8 p.m.
Westlake: Friday, Oct. 31 from 6-8 p.m.
West Salem: Friday, Oct. 31 from 6-7:30 p.m.
Wickliffe: Friday, Oct. 31 from 6-8 p.m.
Willoughby: Friday, Oct. 31 from 6-8 p.m.
Willoughby Hills: Friday, Oct. 31 from 6-8 p.m.
Willowick: Friday, Oct. 31 from 6-8 p.m. Thanks to the City of Green, WKYC, and the City of Cuyahoga Falls for info to compile this list! 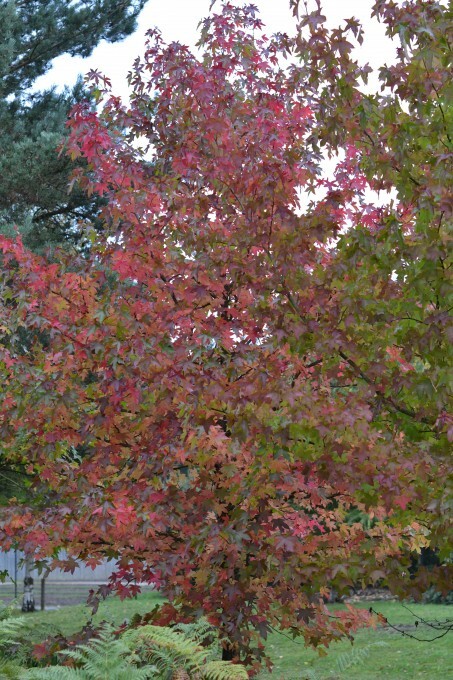 If your child is wondering why the leaves are changing this fall, then Science Sparks had a great, easy-to-read, explanation! There are also a couple craft ideas on the page. 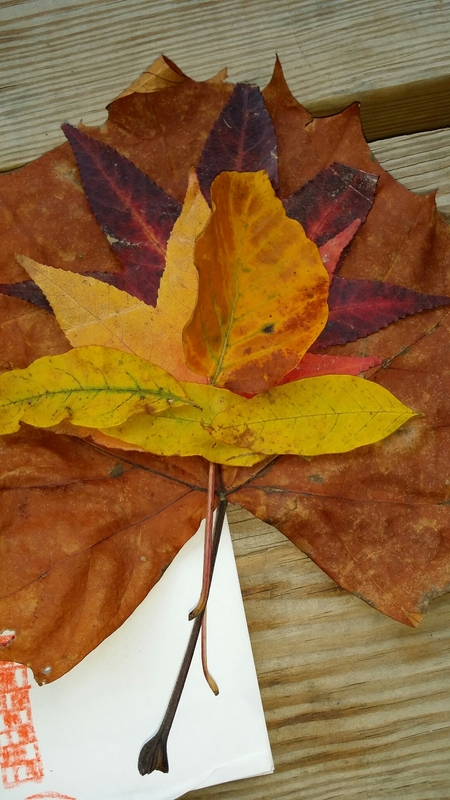 This is great for home school, preschool, or just a fun activity to enjoy the season with kids.